Introduced for Cruise 2019, this high-top Helium sneaker has a subtle shine that is ideal for the holidays. 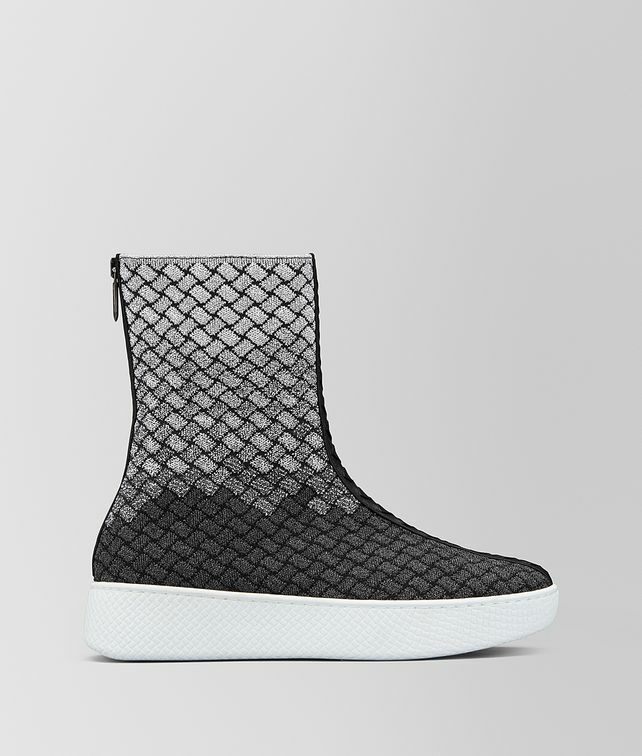 The sock-like upper is crafted from Lurex that is hand-knitted in our iconic intrecciato motif. It is made from three different metallic shades for a unique dégradé effect. The pair is accented on the front and back with a strip of nappa intrecciato and finished with a thick rubber sole and back zip fastening.